Every book about cemeteries should be this stunning. (Actually, every cemetery in America should strive to be this tranquil.) Visually appealing, this book matches the actual cemetery. It is well organized into four distinct sections. Each section begins with an illustrated map denoting the gravesites discussed and important structures. A brief overview provides the reader with enough information to pique her interest. The authors pack as many stories into the book as possible. The final chapter details the importance of the cemetery and its role in the Atlanta community. And quite a role it has. History lives on while visitors stroll through this beautiful cemetery. Preservation is paramount. Through annual events and memberships, funds are reinvested into maintenance and education. Oakland Cemetery is more than the final resting place to Atlanta’s population. It exemplifies the garden cemetery plan prevalent in the nineteenth century. The Introduction by Timothy J. Crimmins details the popularity of rural garden cemeteries and their importance in American history. The book does justice to the numerous mausoleums and statuary located throughout the grounds. Stories of great wealth, and sorrow, reside within this cemetery. Nuts and Bolts: This book contains everything that makes a good book great. It is well-researched. Crisp photographs are accompanied with historical images. The writing style is casual and appealing. The Appendices are clearly structured and relevant to the content. Although not a proper bibliography, the Notes section does provide enough information for the reader to continue on. Finally, the Index is thorough. 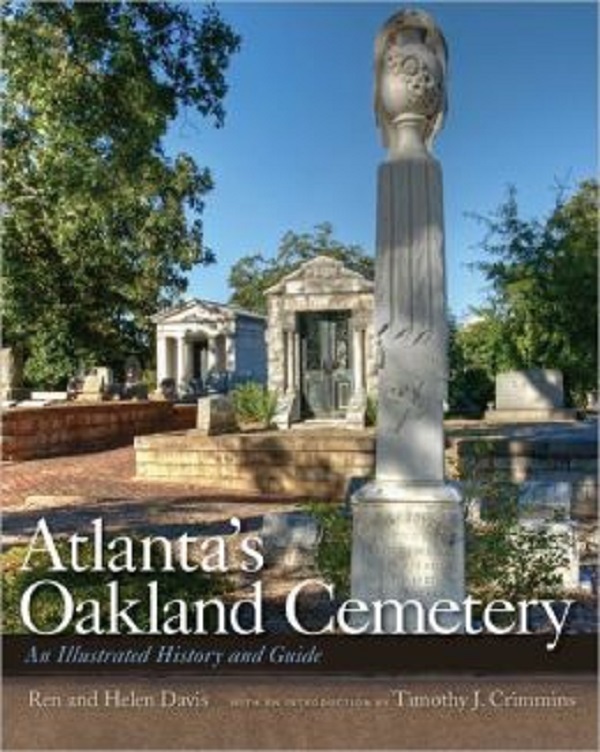 Conclusion: Visit Atlanta’s Oakland Cemetery. It is a subtle reminder of our history and challenges us to honor the dead. Before you leave, stop in the adorable gift shop (the former bell tower) and purchase this book.